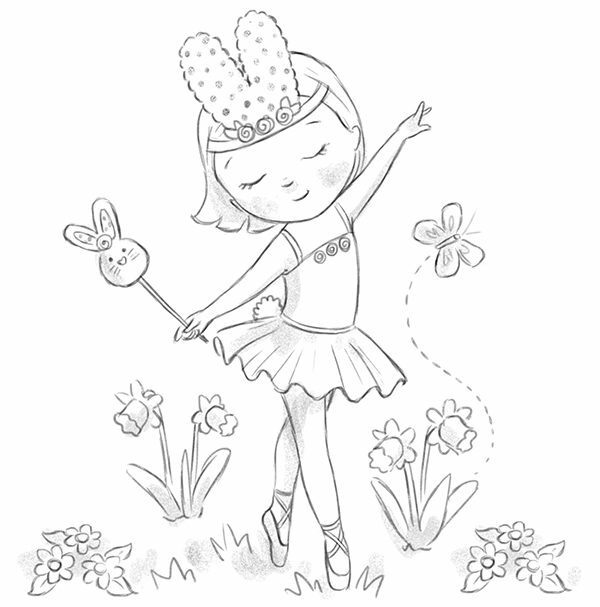 I have been happily working on a new set of ballet illustrations for Tutu Studios, a ballet school in Australia. Images are to be used on their website, book and colouring sheet handouts. Here is a spring themed sketch.